Politicians have been telling the Dáil stories from some of the women directly affected by the CervicalCheck scandal. 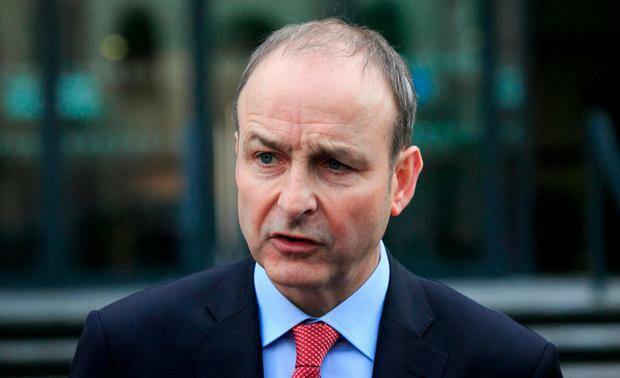 Fianna Fáil leader Micheál Martin revealed how one woman including in the 209 who developed cancer after being given the all-clear in a smear test contacted him in recent days to make an impassioned plea about how the inquiry is handled. “Her tests were missed on a number of occasions on an annual basis. She had to have a radical hysterectomy which could have been avoided. She was not told of this until late last week,” Mr Martin said. Mr Martin said she does not want “scapegoating of her medical team”. “My medical team are my only security. Whatever happens in this inquiry, any damage to them will damage me and I refuse to allow any further damage. “Enough is enough and I want assurances that my consultant will be able to focus on me and my care and not on bureaucracy,” the Fianna Fáil leader quoted the woman as saying. In response Taoiseach Leo Varadkar said his opposite number must have spoke “to a very strong, very brave and very sensible woman who is clearly somewhat forgiving of the mistakes that were made in her case”. Later Solidary TD Ruth Coppinger told the story ‘Anna’ who had two smear tests on in 2011 and one in 2015. Both came back as negative from Quest Diagnostics. “A year later in April 2016, Anna was diagnosed with an 8 cm tumour,” Ms Coppinger said. “Thankfully today she is in remission, but the treatment means she cannot have children, which is a huge blow to her, a woman in her 30s, and her husband. “We cannot adjudicate here as to whether it was excusable not to detect her cervical cancer. Ms Coppinger said ‘Anna’ listened to HSE Director General Tony O’Brien when he informed an Oireachtas committee last week that every slide is examined by two pairs of eyes. “He was categorical about that. Last week at the same committee I asked doctors from CervicalCheck if there is any difference in the results between the three labs, the public lab here in Ireland and the two private outsourced labs, one in the US. “They said ‘No’. Strangely they did not have the figures to back that up, but those figures have since become available when one goes looking on the website. “They reveal that over three years the outsourced labs have consistently lower detection rates, in particular Quest,” the TD claimed. Who is the doctor leading the scoping inquiry into the cervical cancer screening scandal and what will he be examining?